Do hats become too small too quickly for your little one? Hate the annual 'must get out and buy a sun hat' rush? Gro-With-Me™ hats are the solution because they are designed to grow. 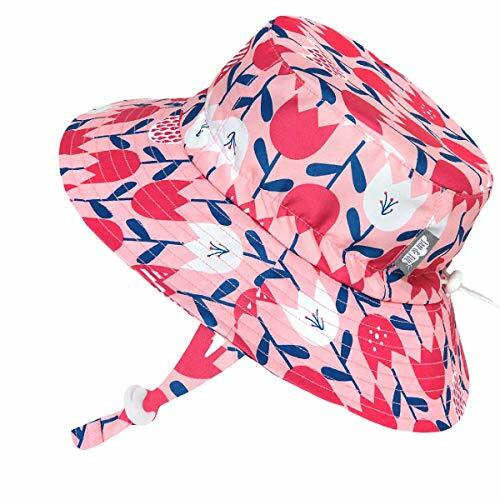 Designed by savvy Vancouver moms, every hat is guaranteed to fit with fully adjustable head drawstring and an adjustable chinstrap. Tired of your little one pulling off his or her hat? The first Gro-With-Me™ hat was made in 1996. Today we have an extensive summer hat collection to suit all your needs. 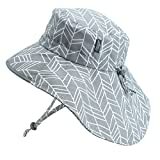 Search for "Jan & Jul sun hats" to see all of our hat shapes and patterns. Based in Vancouver Canada, Twinklebelle Design Inc. makes "rain or shine" kids clothing under Jan & Jul brand and accessories under Twinklebelle brand. Founded and run by women, Twinklebelle values the empowerment of women and girls. It has been providing sustainable income to women in Canada and overseas, and sponsors various projects promoting the empowerment of women and girls. Our products are designed in Vancouver and ethically produced in China.